Today’s Flash Back Friday comes from September 2009. A lot of martial art schools, seminars, and videos are teaching you things that are not effective when you need them in actual life. 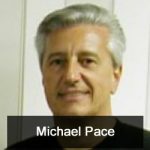 Michael Pace joins Jason Hartman to talk about how he has adapted his training and martial art practice in his 40 years. Once Michael Pace realized that traditional martial arts training wouldn’t actually work if you were under a real attack. So he started creating practical, effective, realistic videos on self-defense and fighting techniques that have helped thousands.